Sentencing has been delayed for the last man charged in connection with a large-scale Danbury-area drug ring because he was on probation when the new charges were filed. Kevin Lubic, one of four men arrested on federal drug charges two years ago and a reputed member of the Hell's Angels, was expected to face up to 36 months in prison during his sentencing scheduled for Wednesday in federal court. Lubic pleaded guilty April 29 to the original charge of conspiracy to distribute marijuana after accepting a deal for a sentence of up to 37 months in prison and fines up to $50,000. The plea agreement came as jury selection for Lubic's trial was scheduled to start the next day in Hartford. His sentencing was put off indefinitely, however, until he completes a five-year probation he was serving at the time of his arrest for a previous drug conviction, court documents state. Lubic's attorney, Jeffrey Chartier, declined to comment Monday. According to court records, Lubic served a 77-month prison sentence beginning in 2002 for a marijuana-trafficking charge out of New York. He was released from prison in 2007, about the same time the Danbury-area drug ring became active. According to federal prosecutors, the local drug ring was responsible for selling as much as 1,000 pounds, or about $7 million worth of marijuana in 2010, the year before the men were arrested. His co-defendants in the current case, including Bethel businessman Mark Mansa, were sentenced last year after accepting plea deals from federal prosecutors. Mansa, who was accused of distributing steroids, was sentenced in June 2012 to 46 months in prison after pleading guilty to one count of conspiracy to distribute 100 kilograms or more of marijuana from 2007 to 2011. Glenn Wagner, of Brookfield, was sentenced in July 2012 to 62 months in prison for his role in the ring. 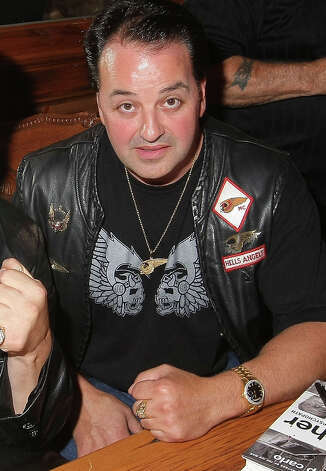 Florida resident Richard Sciaccetano, the fourth man arrested as part of the drug ring, reportedly has ties to the Bonanno organized crime family. Sciaccetano was sentenced to 36 months in prison in June 2012 after pleading guilty to a conspiracy charge. The relationship between Mansa, Wagner and Lubic began when they were teenagers in the Mahopac, N.Y., area, Wagner has said. Sciacchetano, who lived in Brooklyn, N.Y., at the time, was their marijuana connection, according to Wagner.